Researchers from the Southeast Asia Biodiversity Research Institute, Chinese Academy of Sciences (CAS-SEABRI) completed their first biodiversity investigation in Natma Taung National Park in western Myanmar in late July. The over 20-day (from July 10-31) field expedition was at the invitation of Dr. Thaung Naing Oo of Forest Research Institute of Myanmar. 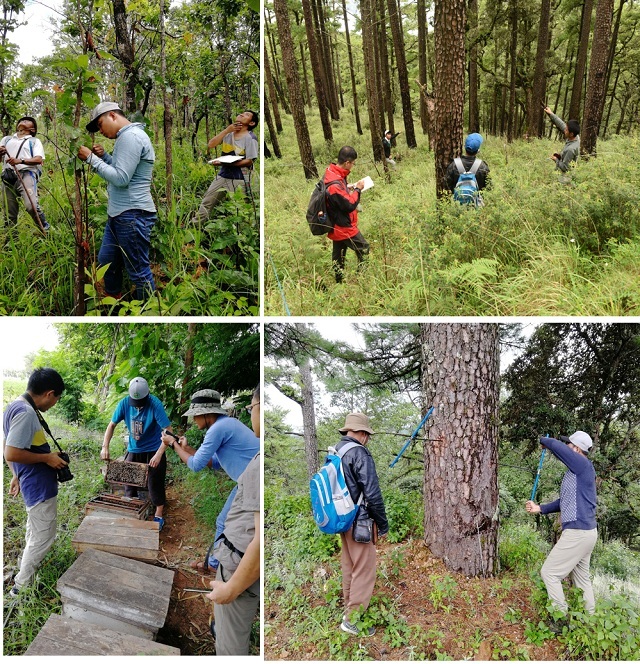 The researchers conducted inventory investigation of trees, shrubs, epiphytes and terrestrial plants at low and high elevations respectively. They also carried out ethnobotanical investigation of plants at villages near the Natma Taung National Park (NTNP). Since NTNP is an important site for wildlife conservation, the researchers made sample plots of animals predate on seeds.They also collected samples of bees. 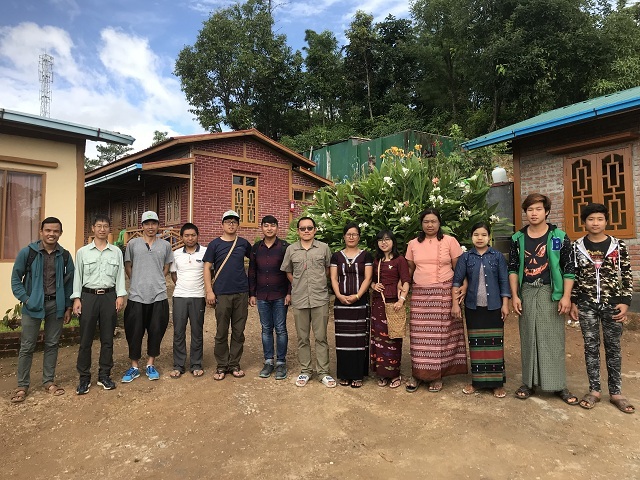 During their stay in Myanmar, the researchers also educated local people about the need to cultivate perennial plants and trees rather than destroying and burning the forests. The researchers are also invited to train local people to breed bees in the coming dry season, serving local people to earn a better life. During the field expeditions, some new plant communities are discovered and will be confirmed by further investigation. Natma Taung National Park is located in Kanpet-Let and Matupi townships of southern Chin State. It covers an area of 279 square miles and was established in 1994. It is located about 475 miles from Yangon. Natma Taung, previously known as Mount Victoria, is the highest mountain in the Chin State of western Myanmar. It is a sky island where the flora and fauna at its upper elevations are dramatically different. Forests include hill evergreen forests, moist upper mixed deciduous forests, pine forests (above 9,000 feet) and hill savannah. Natma Taung National Park (NTNP) is outstanding for its plant life, which is highly diverse and provides insight to the biogeographical history of Asia. It is also an important site for wildlife conservation, containing multiple mammals, and reptiles. NTNP is an Important Bird Area and lies within the Eastern Himalayas Endemic Bird Area. It is an ASEAN Heritage Park and was listed as an Alliance for Zero Extinction Site because of the White-browed Nuthatch, which is endemic to NTNP. 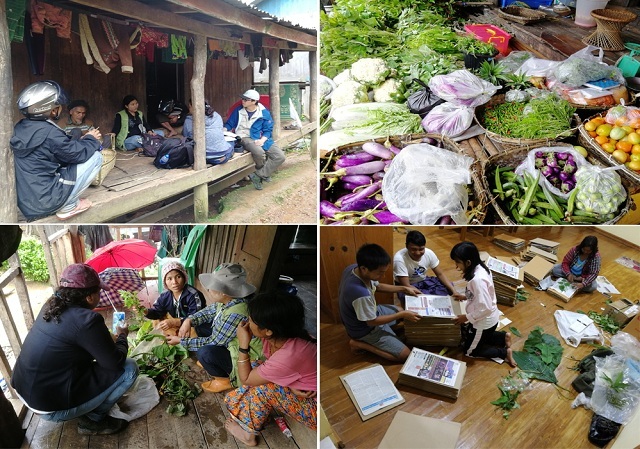 Ethnobotanical studies at surrounding villages.